In medicine, every patient encounter starts with a story: What brings you into clinic today? How did you fall? What were you doing when the pain started? Does sunlight make your symptoms worse? Better? What do you do for work? I learned early in medical school that the correct diagnosis is often in the history�and that means asking the right questions and listening carefully to the answers. One of the reasons medicine plays an important part in my writing is because it�s so narrative-based. I enjoy listening to people�s stories�hearing what happened and why, and trying to put seemingly unrelated pieces of information together to come up with an answer. Crafting a story mirrors this thought process in many ways. There is no surefire way to reach the end (ie the diagnosis), or even to know how to get there. Over time, I�ve gotten better at choosing a more stable, more reliable path to those answers. But in medicine, as in writing, there are many times when I�ve heard the story and I�m not quite sure where to go. Then I ask more questions. Consider more tests. I tell myself that there is nothing wrong with taking a step back and thinking things through. There are other facets of medicine that definitely inform my writing�theme is a big one. GIRL UNDERWATER is about a young woman recovering from a traumatic event, but it�s also about a young woman dealing with mental and physical illness. It�s one thing to treat these issues as a physician, but it�s quite another to face them as a patient. I�ve been on both sides of the bed, so to speak, and I wanted to write about both perspectives. Avery is both a patient and a provider in this story�and in many ways, she struggles with both roles. In writing this story, I enjoyed exploring that interplay (maybe in part because I deal with it on a daily basis!). 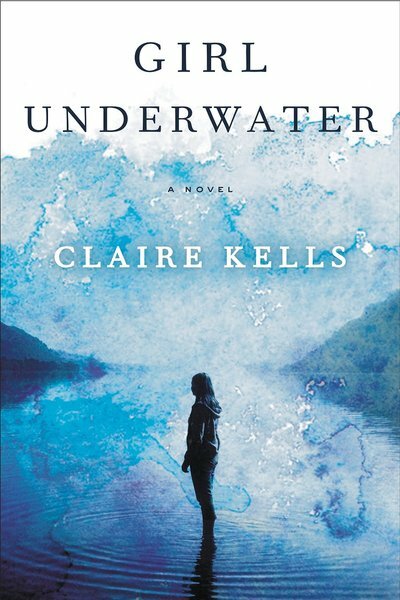 The medical details in GIRL UNDERWATER are based in large part on my own experience, which definitely helped in creating a more realistic portrayal of Avery�s struggles in the wilderness and back home (or at least I hope so!). I�m still learning, of course, and I�m fortunate to be surrounded by other doctors who are more than happy to act as consultants. I wanted readers to experience Avery�s story without questioning medical details, and that was my goal in the scenes that incorporate such elements. Will my next book have a medical bent? Probably. Medicine is such a significant, daily part of my life, that it naturally finds its way into my writing. I like tackling tough questions and themes that have to do with life and death, not just because they fascinate me (although they do! ), but because they scare me. In some respects, I like writing scared. It forces me to dig deeper, to exploit emotions I don�t particularly like to think about. I think that makes for a good story. An adventurous debut novel that cross cuts between a competitive college swimmer�s harrowing days in the Rocky Mountains after a major airline disaster and her recovery supported by the two men who love her�only one of whom knows what really happened in the wilderness. Nineteen-year-old Avery Delacorte loves the water. Growing up in Brookline, Massachusetts, she took swim lessons at her community pool and captained the local team; in high school, she raced across bays and sprawling North American lakes. Now a sophomore on her university�s nationally ranked team, she struggles under the weight of new expectations but life is otherwise pretty good. Perfect, really. That all changes when Avery�s red-eye home for Thanksgiving makes a ditch landing in a mountain lake in the Colorado Rockies. She is one of only five survivors, which includes three little boys and Colin Shea, who happens to be her teammate. Colin is also the only person in Avery�s college life who challenged her to swim her own events, to be her own person�something she refused to do. Instead she�s avoided him since the first day of freshman year. But now, faced with sub-zero temperatures, minimal supplies, and the dangers of a forbidding nowhere, Avery and Colin must rely on each other in ways they never could�ve imagined. In the wilderness, the concept of survival is clear-cut. Simple. In the real world, it�s anything but. Claire Kells was born and raised outside Philadelphia. She received a degree in English from Princeton University and a medical degree from the University of California. Currently in residency, she lives and works in the Bay Area. Connect with Claire on her website. as an Author. I'm looking forward to reading your book.